One of the perks of being a food blogger is that occasionally you get a sneak peak at cookbooks before they are released out in to the food world. Even perkier is that sometimes I get to share recipes from these cookbooks with you. Today I am sharing a mouthwatering Teriyaki Patties recipe from Brandi Doming’s just released cookbook The Vegan 8. If you’ve visited Brandi’s blog The Vegan 8 you’ll know she specialises in creating completely delicious vegan meals featuring 8 ingredients or less. If you’ve read my blog you’ll know I am a very big fan of fuss-free recipes that taste amazing. The Vegan 8: 100 Simple, Delicious Recipes with 8 Ingredients or Less is tailor made for those, like me, looking to take the fuss out of their cooking routine without forfeiting flavour. With 100 recipes covering breakfast, snacks, lunch, soups and stews, entrees, mains, desserts and basics, Brandi has created a vibrant and comprehensive resource and kitchen companion. With beautiful photography and clear recipe instructions, this book is not only inspiring but so simple to use. The only challenge is, which recipe to try first? 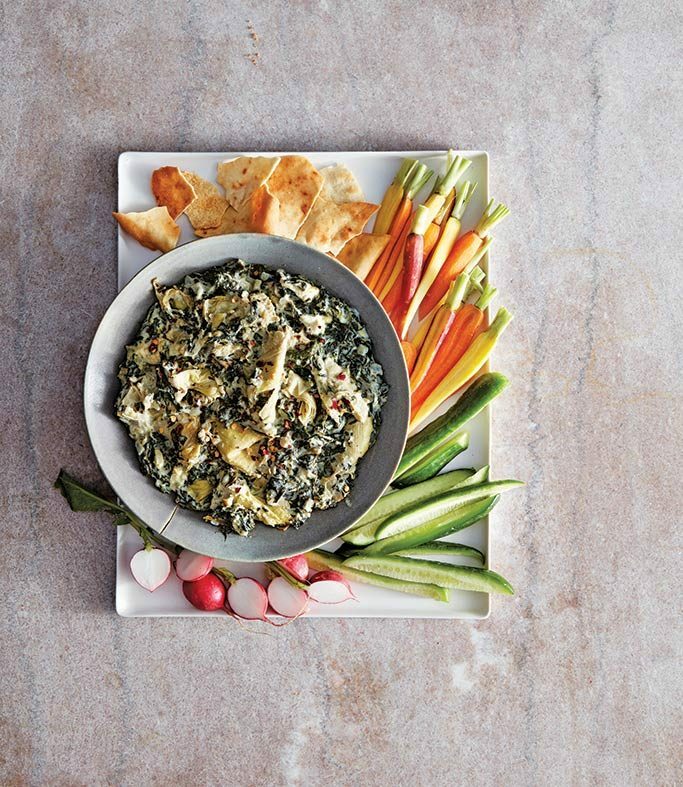 Fool Em Cream Cheese Spinach-Artichoke Dip, p. 180. With so many delicious recipes to choose from, I can’t predict which one will be our family favourite. However, a betting person might back Brandi’s teriyaki patties. 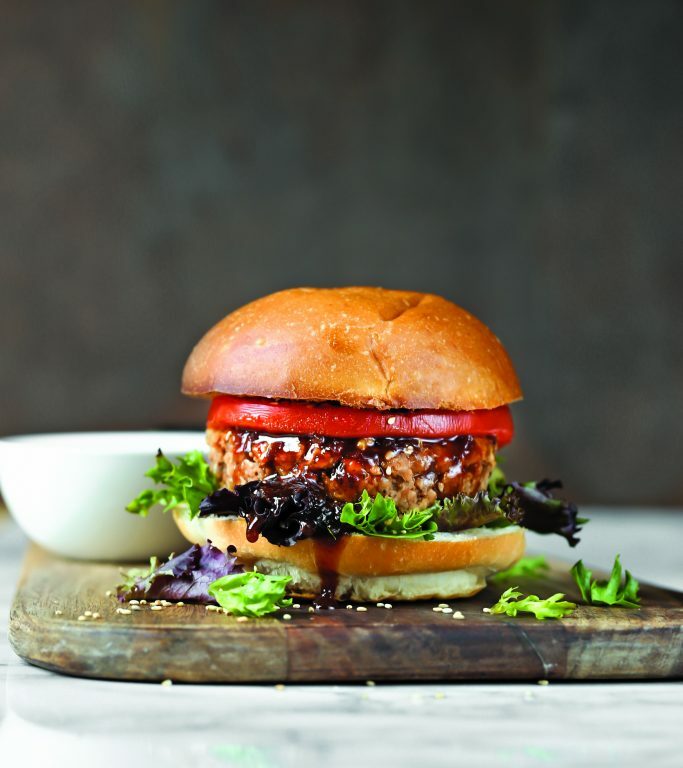 With juicy Asian-inspired chickpea and rice patties, these teriyaki patties served on a burger bun or alone are simple, balanced and utterly drool-worthy. And, Brandi has kindly allowed me to share the recipe here. Bonus! If you love your Asian flavours, you’ll love these little patties. 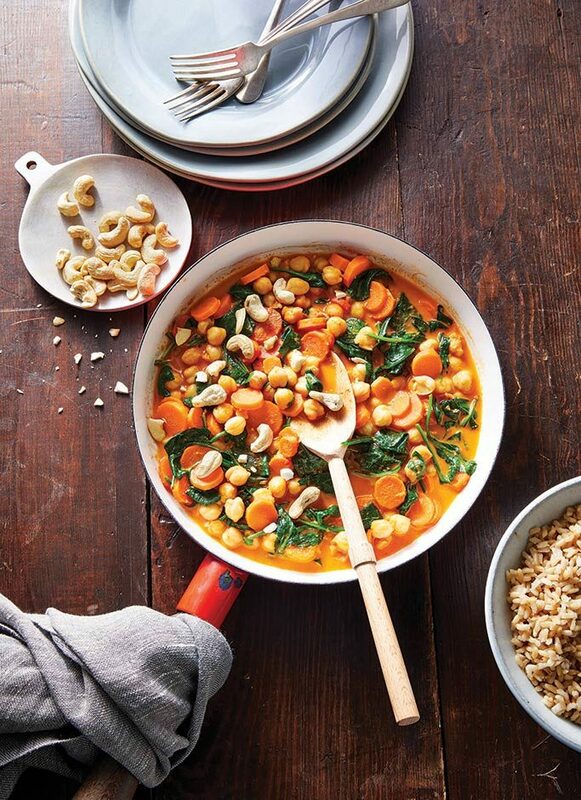 We are giving away a copy of The Vegan 8 cookbook to our US and Canadian-based readers! How to enter : 1. Head over to Facebook and follow The Vegan 8 and 2. Go to My Goodness Kitchen’s FB page and leave the hashtag #TheVegan8 under our The Vegan 8 giveaway post. Simples. Entries close on Wednesday 24 October when I will draw a winner at random. Good luck! This competition is open to readers in the US and Canada only. Recipes and Images are the property of The Vegan 8. They may not be reproduced or copied without the expressed permission from Brandi Doming and The Vegan 8. 1. Preheat the oven to 350°F (177°C). Line a sheet pan with parchment paper. 2. Add the rice, 1 cup (240g) water, and 1⁄4 teaspoon salt to a medium pot and stir. Bring to a boil, cover, reduce the heat to low, and simmer for 30 to 35 minutes or until all the water is gone. Remove from the heat (keep covered), and let it steam for 5 minutes. Fluff with a fork and leave uncovered for 15 minutes to cool. 3. Meanwhile, add the onion and 3 tablespoons (45g) water to a pan over medium-low heat. Bring to a simmer, cook 5 minutes, stirring occasionally, until the onions are tender. Once the water is gone, stir the onions constantly for a couple of minutes to brown them. Add the onions to a food processor, along with the teriyaki sauce, sesame seeds, garlic powder, black pepper, and, if desired, red pepper flakes. Pulse to combine the spices with the sauce and break up the onions a bit, but not puree them. Add the chickpeas and pulse several times to break up the chickpeas into tiny pieces, but do not puree them. Add the cooled rice, rice flour, and oats, and pulse several times until it all comes together into sticky chunks. You want the mixture to hold together but do not want to overmix it. 4. Transfer the mixture to a bowl. Use a 1⁄2-cup measuring cup to scoop out the chickpea mixture, pressing it into the cup to flatten it. Plop the patty out into your hand, shape into a ball, and place on the prepared pan. Press down until the chickpea mixture is 1 inch thick, and shape the edges into a round patty. Repeat the procedure with the remaining chickpea mixture to get 6 patties total. 5. Bake at 350°F for 20 minutes, flip them over, and bake 10 more minutes. Let cool for 10 to 15 minutes. The patties firm up on the insides a lot as they cool. 6. To serve, I like to dress buns with lots of teriyaki sauce, lettuce, and extra sesame seeds, but choose whatever toppings you prefer. Store leftover patties in the fridge wrapped tightly in plastic wrap and placed in an airtight container. These reheat well in the microwave and also in the oven on low heat. Salt, pepper and water are not included in the 8-ingredient count. The list of ingredients for the Teriyaki Patties does not include oats – but they are included in the directions. What kind? And How much? Arghhh! Connie – so sorry. 3/4 cup quick-oats. It’s in the recipe now. My apologies. You are totally welcome. We love Brandi’s book! Thank you so much for such a beautiful review, I really appreciate it!! You’re are so welcome, Brandi. The book is beautiful. Thank you for sharing it with us.